The steep increase in the number of suicides in India’s premier legal institutions is indicative of the systemic flaws, he pointed out in his speech. Lawyers’ job can often be very stressful and, thus, lawyers are prone to addiction and struggle with mental health issues like depression, both at higher rates than the general population, Supreme Court judge Justice DY Chandrachud has said at an event organised by Harvard Law School Center on the Legal Profession in New Delhi. 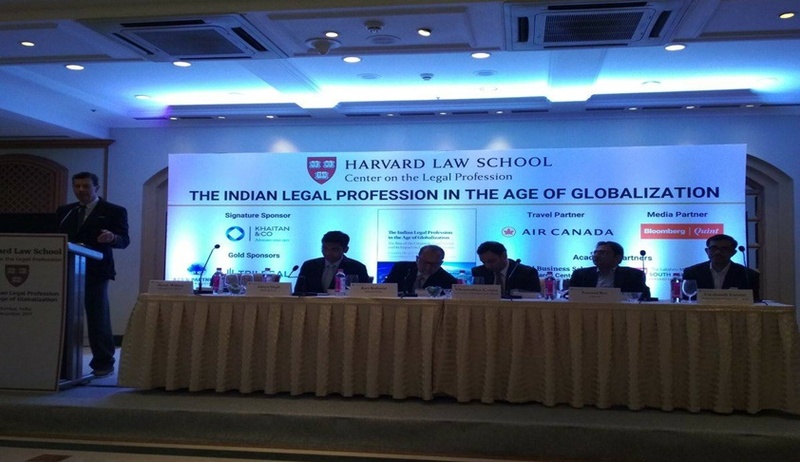 The Harvard Law School Center on the Legal Profession hosted the book launch of The Indian Legal Profession in the Age of Globalization at Taj Mahal Hotel in New Delhi on Friday. The event was hosted by David B Wilkins, Professor of Law and director of the Center on the Legal Profession, and was graced by the distinguished presence of Supreme Court’s senior advocate Fali S Nariman. The keynote address was delivered by Justice Dhananjaya Y Chandrachud. During the speech Justice Chandrachud has discussed about the mental health of lawyers. “This is supported by findings of various research studies in the United States and Australia which conclude that lawyers suffer from significantly lower levels of psychological and psychosomatic health wellbeing than other professionals. Various law firms abroad have now started taking mental health issues very seriously. They are offering on-site psychologists and incorporating mental-health support alongside other wellness initiatives”. He said there are no empirical studies in India regarding the mental health of legal professionals due to the general stigma in Indian society regarding mental health issues.